"See you later!" I said to my parents and waved to them as they pulled out of the garage. I was feeling great! I didn't really like going out for dinner with them and this was the first time I convinced them to let me stay home alone. I was ten years old and I had the whole house to myself! I started walking around. It felt a little awkward with no one else around. I yelled out because normally I was not supposed to yell in the house. I jumped onto the couch and put my feet up with my shoes still on. I was relaxing peacefully when I heard a few sounds outside in the back yard. It sounded like someone walking around a couple yards away from the house. I also heard some kind of metal jingling together. It startled me so I sat up and listened carefully. It was completely silent when I tried to listen. I walked over to the window that was covered with drapes and put my ear up next to it. I listened closely but could not make out the sound. I thought about peering out but it was dark outside and light inside so I was afraid whoever was out there would see me looking out. I sat back down on the couch and started thinking. What if there was someone bad outside? What if they were going to break into my house and try to steal something or even kill me? My heart began to race. I got up and started walking to the kitchen when I heard the sound outside again. Someone was definitely out there. Feeling unsafe downstairs, I dashed up the stairs to my parents bedroom. I shut the door and leaped onto the bed. I wanted to get in touch with my parents, but they were out to dinner and this was before the days of cell phones. I thought about calling 911 but I was afraid if they came over and saw me home alone, they would take me to the police station. I decided to try to calm down and went to my room. A few minutes had passed and I was starting to feel better when I heard the sound outside again. I figured I had less of a chance of being seen from the upstairs window so I turned off the light and peeked outside. 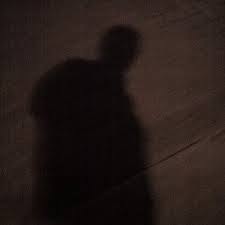 It was dark but I could see a shadowy figure walking around the side of my house. I watched it until it was out of sight. My heart was pounding again. I sat back down and looked at the clock. I wasn't sure when my parents would be home. I thought about calling one of my friends. I was about to pick up the phone when the doorbell rang! I ran to the top of the stairs. I looked down and listened fearfully. The outside door opened and someone started knocking on the door! I was so scared and didn't know what to do. I wished my parents would come home. Finally, the outside door closed and it was quiet again. I was a bit relieved but still very nervous. I went back to my parents room. Still looking at the clock. They had to be coming home soon. Then I heard the garage door opening. I ran to the window and looked out to see my parents car pulling in. I dashed down the stairs and opened the door to meet them. I had never been so happy to see them in my life! My dad walked in and I hugged him. I saw my mom and started to cry. I told them about what had happened and about what I had heard and saw. We went to the living room and sat down to talk about it. Then I heard the jingling noise outside the window again. "That's it!" I yelled. "They are in the back yard!" My dad walked over to the window, opened the drapes and turned on the back light. We saw our next door neighbor outside walking his dog. My dad opened the patio door and said, "Hi, how are you doing tonight?" "Not so good." he replied. "When I went out to walk the dog, I accidentally got locked out of my house. 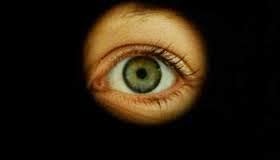 I walked around your house a few times to see if anyone was home. I wasn't sure so I rang the bell and knocked on the door but no one answered. Do you still have my spare key?" "Sure!" My dad said and went to get him the extra key. The neighbor was very thankful and wished us a good night. I was relieved that is was just the neighbor but still a bit shaken up. Staying home alone did not turn out to be as great as I thought it would be. I thought to myself, maybe next time when my parents go out for dinner I will go with them. It is time once again for the annual Best Songs of the Year! This year, was different because I did not closely follow music as I have done in previous years, in fact I tried to avoid music for the most part. Despite this, I still managed to find some good songs to share throughout the year. Enjoy! Bad Lip Reading is a Youtube channel known for voice dubbing over popular music videos, tv shows, movies, and sports. They are also incredibly talented at making original music as heard in this video where they make an original song to some clips from the show Walking Dead. BLR knows how to make a catchy hit song that could easily top the pop charts. They have many other great songs as well including this other song released for the Hunger Games movie. Here is a band out of Australia that has sort of that 90's alternative rock sound. They had a few big hits this year with the songs Covered in Chrome and this one here Saramona Said. It also has a great video featuring the "one continuous shot" style. If you like bands like Weezer, Nirvana, or Pixies, definitely check this one out! A high energy electronic pop song comes in at number 3 this year with NRG by Duck Sauce. It has kind of a timeless pop likeability similar to Junior Senior's Move Your Feet. The original song is great and there is also a good remix of the song here in collaboration with Skrillex, Kill the Noise, and Milo & Otis. This video features Phil Villeneuve as he dances through the streets listening to the song. 311 has been around for a long time and was one of my original favorite bands. This year they came out with a new album "Stereolithic" which has been positively received my many of the the long time fans. This single off the album captures the classic 311 sound many have been missing for so long. Meredith from Gregory and the Hawk is a singer/songwriter/musician who has been making beautiful songs for many years. This year she released and album "A Selection of Demos". They might be demos, but this song "Heart Attack" was good enough to make it onto the best songs of the year list! Meghan Tonjes is a Youtuber who is also a great singer/songwriter. Here is an original acoustic song called Don't Call Me Love. She has a lot of other great original songs as well as cover songs here on here Youtube channel. Here is a song from the funny Youtube duo of Dave and Ethan. It is a song they made inspired by the comments they received on their videos. The topic and lyrics are silly but the song is actually very catchy and they are pretty good at singing too! Hope you enjoyed the best songs of 2014! Feel free to leave a comment below if you found a good song here or if you had another favorite song from 2014. Also check out the Best Songs of 2013 and the Best Songs of 2015. You start by going to the website and entering in your location to make sure the service is available in your area. From their you can start shopping right away. You don't even need to log in to try it out. You can search by item, brand, or category which makes finding things very easy. 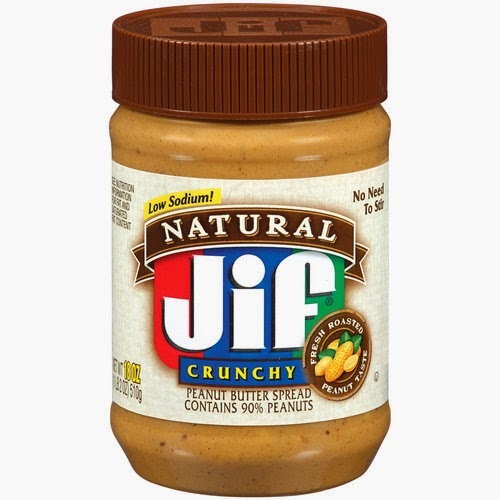 They have most of the name brands and even a Peapod store brand. You can click on an item to see it up close and get more information about it such as the nutrition facts. You can even sort by unit price which is very helpful when comparing prices. When you find an item you want, you can add it to the cart on the right where it keeps track of your order. Overall I found the website very easy to navigate. As you might expect, you will pay a bit more per item vs if you were to buy the same item in the store. The convenience of having someone else take the time to gather all the items and deliver them does come at a price. There are some items on sale each week which tend to bring them down to about store price. Also they do have many store brand items which are a good deal. I like to save money so I went with a lot of the store brand items. You have to have a minimum order of $60 to place the order. Also there is a charge for delivery and a smaller charge if you opt for pick up. They do run promotions so you may be able to get these fees waived if you have a promo code. In checkout, you can select delivery or pickup. I went with the pickup because it was less and there was a pickup place close by. I was able to schedule pickup for the next morning which was nice so you do not have to give them a lot of advanced warning. One thing I noticed is they do not let you enter in a promo code until the last screen, even after you have entered in all your billing information. It would have been nice to be able to apply the code early on to see those savings at the beginning. For pick up, you just have to drive up to one of the Peapod locations and tell them your name. Then they load up your car with the order and give you the receipt. Overall the service was quick and friendly. The groceries came in many bags. They probably could have been consolidated better. Also I found the frozen items could have been colder. They keep them in coolers with ice and actually use dry ice cubes to keep them cold. When I was unloading the groceries, there was one of the dry ice blocks in one of the bags. I'm not sure if this was supposed to come with but it was kind of strange because it had lots of warning on the bag like "Do Not Touch Without Gloves". Other than that I was pleased with the groceries themselves. 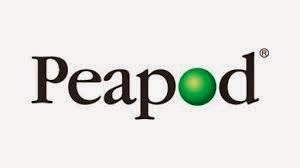 I would recommend Peapod for someone who is busy or does not like to go grocery shopping. It is good for someone who does not mind paying a bit more for the convenience of having groceries delivered. 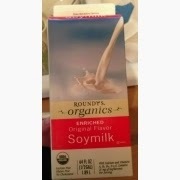 It is also great for older people who may have a hard time getting around or carrying heavy groceries. Personally I do not mind going to the store and I would prefer to get the cheapest prices for the same items, so I probably would not use the service on a regular basis unless there were some good promo codes that evened out the prices. 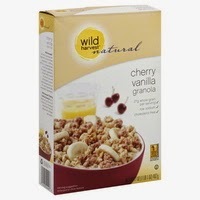 Update 5-14-15: While most items I ordered were great, I got around to using some store brand Automatic Dishwasher detergent and found it was not cleaning the dishes well at all. In fact, dishes looked cleaner going in compared to after they had been washed using the new detergent. It was a pretty big bottle and I was not going to use it any more because it did not clean the dishes so I decided to give Peapod a call to see if there was anything that could be done. Thankfully they were able to give me a refund for the detergent. Although the detergent was a disappointment, they get points for good customer service! You might think it is a joke that his show is number 1 this year, but it is in fact the best show this year. Many critics did not like this show and many probably wrote it off as a bad show based on the title or premise alone. This show did not even get to air the whole season on Fox as it was canceled in the middle and the rest of the episodes were shown online, but this really was a good show this year. The casting was excellent and overall it was edited and constructed into an ideal reality show with lots of drama, emotion, and a great ending! Another new show debuted this year and comes in at number 2. The Quest was a fantasy/reality competition show putting contestants into a magical medieval setting and having them compete in various tasks and tests of skill in order to be come the one true hero to save the day. This show was great because it was different by combining two different genres into one. The casting was good both in terms of staff as well as the contestants. The setting was realistic and the storyline was a lot of fun to follow. Hope this one comes back for a new season! For the first time a daytime show has been featured here on the best shows of the year. While "Live" has been around for quite some time, and even Kelly and Michael have been hosting for a while, this show is just wonderful and a great way to start off your morning. Kelly an Michael are both a pleasure to watch and it is nice to see the contests and different guests they have on the show each day. A couple of returning shows to the 10 best list again this year are Gordon Ramsey's Master Chef and Jr edition. With many cooking shows out there, this one stands out as having great judges, a good format, exciting competitions, and eclectic home cook contestants. The main show is great to see the high level of cooking and drama while the Junior version is just as entertaining with the kids as they are so animated and you never know what they are going to say. It's no surprise Big Brother is on the list again this year. One of the long running reality competition shows out there, this one is always a summer staple. They tried to mix it up with some new twists this year. Some worked better than others. It was not a perfect season, but still good enough to make it one of the best this year. My grandmother's health has been deteriorating lately which has caused her to go into an assisted living facility. I recently went to visit her there and got a glimpse of what life is like for many older people who are not able to care for themselves. Overall the place was nice, but it was kind of depressing seeing all these old people in a hospital like setting. They are not able to do much and it seems there are not to many visitors for them. It made me realize that this is what life is like when you get very old. It seems like when you are at the end of your life it should be good, like you made it to the end and you should be rewarded, but upon this visit it looks like the end is not so great. Most of these people have health issues and cannot take care of themselves. They must rely on other people to help them with everyday things such as eating or going to the bathroom. It made me think, we all may end up like this and it is not really something to look forward to. I always tried to live a safe and healthy lifestyle in order to have a long life. I always looked down upon the "live fast die young" lifestyle. 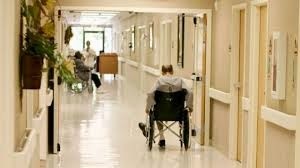 I figured it was better to "live slow and die old" but if living in a nursing home is what you are rewarded with for living a safe and healthy life, is it really worth it? It makes me wonder that maybe those who live the risky lifestyle and participate in activities that may be more fun but more dangerous might be doing it right after all. It does not make me want to change my lifestyle though. I would still rather live a long life and be able to experience more over a long period of time. With this lifestyle, you can have a good life for a long time but the end is inevitable. It is kind of depressing but it is part of life I guess. So what have I learned from this experience and reflection? I guess it is just a realization of the reality of what it is like for people when they are near the end. Life goes faster than we realize so make the most of it! Recently I moved up in position at my job to where I have begun to interview potential new employees who have applied to work for the company. Up until now, I have always been on the other end of this situation as the person going into the interview, but now I have a perspective of the other side as the one doing the interview. It is interesting how different the state of mind is between both sides of a job interview. In this article I will compare these perspectives and share what I have learned from being in both positions. For most people, going in for a job interview is usually very stressful. You have to prepare a lot for the questions that will be asked and you have to go in knowing as much as possible about the company you are trying to work for. The interview is something that you may have on your mind weeks in advance and something you are entirely focused on. Getting a new job is a big deal and can really change your life depending on if you get it or not so there is a lot at stake. 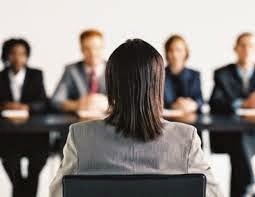 On the other side of things, the interviewer often has many potential candidates interviewing for the same position. Often they have a lot going on and are just trying to get through the interviews and keep everything organized. For them, each individual interview is not a big deal. Of course they want to find the best person, but they are not stressing over each interview. They are just going though their routine that they do with each potential candidate. This is the biggest difference I found when comparing both sides is that there is so much more pressure and stress on the one being interviewed vs the one doing the interview. - Show interest. It seems obvious, but those who really show interest in the position are more likely to be hired vs someone who does not really show that they want the job. Make sure you let them know how much you want THIS job, not just any job. - Ask questions. This is a good way to show that you are in fact interested. I found, I like when they ask questions because then you can tell them more about the job and it shows they are interested in learning more. When they do not have questions, it seems like they don't really care and would rather just end the interview and move on. - See what they are looking for. Figure out what are the best qualities they are looking for and show that you have these qualities. They need to know you have the ability to do great in whatever skills are needed for this position. - Get involved. Try to make contact with those you will be interviewing with and anyone else who you may potentially be working with. This can be through emails or even phone calls. The more connected you are ahead of time, the more you will stand out as someone who is already in or at least more in than other candidates who have not bothered to get involved. - Follow up. Submitting a thank you note is a nice touch after you have gone in for an interview. It shows extra effort and makes you stand out just a little more than those who do not. It is also good to follow up with the interviewers to make sure they do not forget about you. Often there are a lot of people that have been interviewed and it is very easy to get lost in the mix even by mistake. Make sure they know you are still interested if you have not heard anything back. - Be fun and positive. Often the people who are interviewing you will also be working with you if you get hired. They want to hire someone who is well qualified but also someone who has a good personality and would be fun to work with. You don't have to go in telling jokes, but try to be up beat and show enthusiasm during the interview to show that you would be someone they would like to work with. Use these tips to help do well in your next job interview so you can succeed in getting that new job! Feel free to comment below if you have any tips or comments on either side of the job interview perspective. Jesse and Jeana from BFvsGF may be best known for their prank channel Prank vs Prank, but their BFvsGF channel here is just as good and they post new videos every day. It follows their everyday life and the fun things they do each day. You might think that sounds kind of boring, but these guys are a lot of fun to watch and they do a lot of interesting things like go on trips and play little pranks on each other. In this video they do a challenge that involves duct taping each other to a chair and trying to get out. Needless to say, with these two, things do not go as planned. Greg Benson from Mediocre films is one of the pioneers in making funny videos. He does everything from interviewing people at conventions to social experiments to original pranks. In this video, he and fellow prankster Jack Vale come up with one of the silliest but surprisingly funny ideas of stealing dog poop from strangers. Bad Lip Reading is a channel that does funny voice overs for different things like tv shows, sports clips, and music videos. They also make original songs based on the voice overs. The videos are very funny and the music is as good as anything you will hear on the radio today. In this one they do lip reading for the show The Walking Dead and finish it up with an original song. Melissa Villasenor is known for her impressions, stand up comedy, singing, and original sketch comedy videos. She puts her skills to good use here in a new series of her own show, the Melissa Villasenor Show. In this episode she talks with "Zooey Deschanel" while "Iggy Izalea" closes the show with a performance. Joe from Badge of Shame is best known for interviewing people at various events and countries. The interviews generally involve jokes and making people feel awkward which is very fun to watch. In this one he interviews a girl at a convention as part of his Joe Dates series. Another veteran Youtube prankster, Jack Vale is still up there with the best of them. He has a lot of original prank series and funny videos on his channel. In this one he walks around a store pretending to be on the phone and makes people paranoid as he mentions things about them as they pass by. Multi-talented Ed Bassmaster is known for his characters and public pranks. He is another veteran Youtuber with tons of great videos over the years. In this one, he first tries to sell some guys some stolen merchandise and then comes back as an investigator looking for the theif. Whatever is another social experiment channel where they create funny situations and see how people react in public. Usually the videos feature Brian or Andrea, both of whom are great but in this one, they get the help of a kid to see how smokers react when a kid asks them for a cigarette light. Flula is another multi-talented Youtuber who is known for his song covers, random funny videos, and commentary on English phrases. He is from Germany so his take on everything in the US is always a little different. In this one, he an fellow Youtuber Miranda Sings do a live cover of the song "Good Vibrations". Whitney Rice is known for her characters, sketch comedy videos, recaps of pop culture, and even stand up comedy. She is definitely one of the up and coming Youtubers to keep an eye on this year. In this video from her Pajama Talks series she gives us her take on some of the news in pop culture while trying not to expose the camera to anything inappropriate. If you liked this year's 10 Best videos, check out the 10 Best from 2013. Also the Best Youtube Channels under 1 Million Subscribers 2015. The new reality show Utopia debuted on Fox last night. I'm a fan of reality shows so I decided to check it out. It takes a group of strangers from all different backgrounds and puts them in an environment where they basically have to learn to live off the land and work together to create a new society. 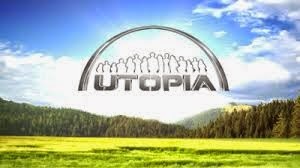 It is an ongoing show that is supposed to go for at least a year with the opportunity for new people to join the Utopia throughout the year and of course to option for people to leave or get kicked out of the group decides. I watched the 2 hour premiere and overall my impression is that it is very much a typical reality show with lots of drama among the participants. They pick very different personalities so this causes conflict easily among the group members. There have already been plenty of fights and arguments and even a make shift trial on whether one of the members should be exiled from the community based on his actions. The show is similar to Big Brother in the fact that it will be on several times a week and has a live stream to go along with the weekly shows. Utopia is still just getting started so it will take a few more episodes to get a good judgment on this show, but overall I will tune in next episode to see how the series progresses. Did you watch the premiere of Utopia? What did you think about it? 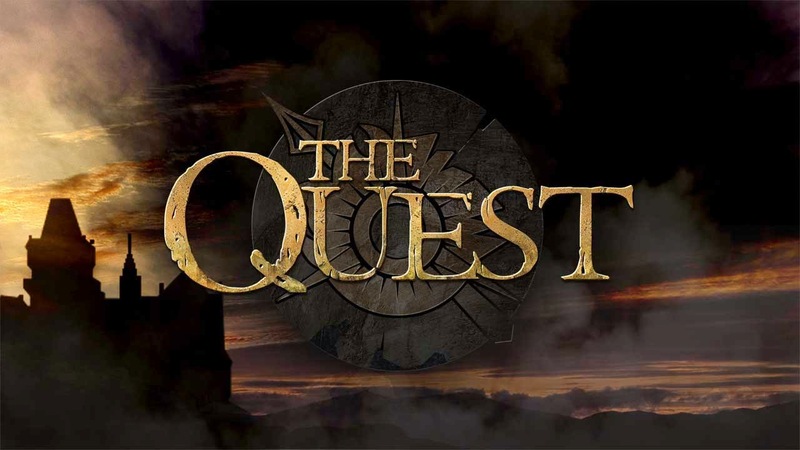 A new show called The Quest is underway which is a fantasy reality competition show. It takes 12 contestants and puts them in a world similar to medieval times with knights, horses, bow and arrows, swords etc. Each week they train at in different skills to prepare to battle an approaching enemy. The lowest scoring members are then put through another challenge and eventually the weakest player is voted out each week. The series is 6 episodes in and while it got off to a bit of a slow start, it has quickly become one of my favorite shows of the season. It reminds me a lot of Whodunnit which is another role playing reality show. You have to have some suspension of disbelief to fully enjoy it, but once you do, it is a lot of fun to watch. The casting is really what makes it great. The main guy and trainer Ansgar really plays the part well as do the supporting cast. It is fun to see them train each week in different competitions so see how they all perform. If you like reality competition shows and also a little bit of fantasy, check out The Quest, Thursday on ABC. You can also watch past episodes online at abc.com. 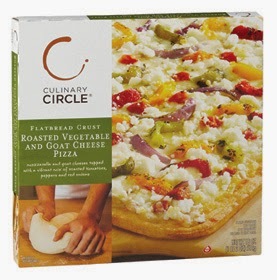 Recently Target has been adding many new convenience food items to their grocery section. These include ready made meals and prepared foods that are easy to make and still pretty healthy. 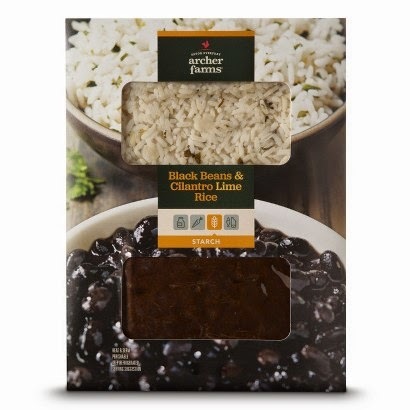 The other day I found a new item by the Target brand Archer Farms called Black Beans and Cilantro Lime Rice. 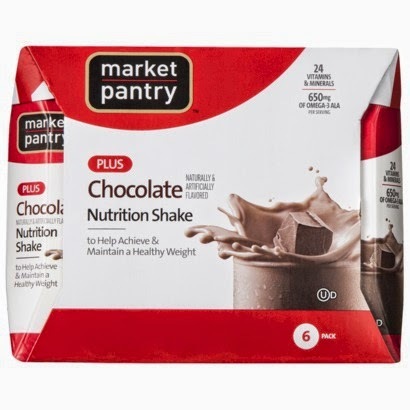 It was only $3 and contains 2.5 servings which is a good value. Also I like rice and beans so I decided to give it a try. The package comes with a pack of cooked rice and a pack of seasoned black beans. The instructions for heating it are somewhat vague and not as clear as they could be. Also I found the cooking times to be high but this can vary by microwave. I ended up cooking the rice in the bag, cooking the black beans in the tray, and then adding the rice to the black beans. My first impression was there was a lot to eat! Definitely 2 portion sizes. The taste was surprisingly good! It reminded me a lot of the rice and black beans from Chipotle which I really like, so this was a great substitute. It was seasoned nicely and had a good flavor. You can also add other stuff to dress it up like vegetables or cheese, but I just had it with the rice and beans. Since there was a lot, I saved half for later. There is not really a good way to save it with the materials supplied to I ended up covering it with a paper towel and wrapping it in a plastic bag. The leftovers the next day were just as good! I will most likely get the Cilantro Rice and Black Beans again and will probably check out what other similar meals are available from Archer Farms. If you like rice and black beans and want something that is really easy to make and tastes good, check out this new item. One of my pet peeves is when people are not considerate of others. An example of this is people who live near others in an apartment or condo building and play music too loud. This happens every once in a while where I live. There will be a neighbor who is playing music that can be heard all the way on the other end of the building. The bass will even be shaking the walls. I don't understand how someone can be so inconsiderate of neighbors that they think it is ok to play music that loud which can obviously be heard by others. Now some say, if you don't want to be bothered by noise by neighbors, you should not live in an apartment setting. 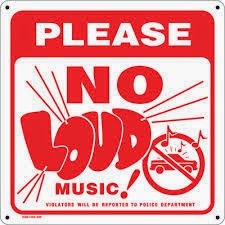 Everyday noise such as people going in and out of doors or maybe doing a little work around the house is ok, but blasting music is not ok.
One might say, well just go over and tell them to turn down the music. You can do this but then all of a sudden you are creating a conflict with your neighbor. Now you are going to be known as the neighbor who told you to turn your music down. Situations like this do not only happen in residences, but also out on the road or anywhere cars can go. How many times has someone pulled up next to you and their sub-woofer is blasting bass from their music. People around you should not have to hear your music, especially when it is distributing loud bass. One should not need to be counseled on something as common sense as this. Either they are clueless about how their actions may effect others or they know but just don't care. I find it hard to understand how either of these situations can be the case. The other day I was standing in line getting ready to check out at a grocery store when I noticed there was a homeless person checking out behind me. Now I didn't know his circumstances, but by the way he was dressed and the fact that he was just buying a plain loaf of bread with cash, I just got the feeling he was down on his luck. This same situation happened to me on another occasion with a homeless person checking out behind me. In the moment it was taking place, I was a little uncomfortable. You don't see homeless people too often in settings like this. In my mind I was thinking I should try to help them by paying for their items or giving them money, but on the other hand, I'm not sure if they would get offended by something like this. I'm sure they would appreciate it but at the same time, I would worry that they might take offense to it like I am assuming they can't pay for their own food. So this second time it happened, the same thought process went through my mind. I wanted to help but because of the uncertainty of how they might react, I decided not to do anything. There were other people around too so I would not want to draw any extra attention in a situation like that. It got me thinking about charity. I am not a rich person and I do not usually donate to charities too often. I live very frugally and pretty much only spend money on necessities like food and housing. 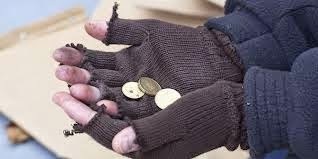 It's odd because even though I don't give money to charities often, I wouldn't mind just giving a $20 bill to one of the homeless guys in a situation like this. And this is from someone who spent less than this on their entire shopping trip. I think the difference is, if you give money to a charity for example, the Red Cross, you don't see what happens too it. You just assume it will be put to good use somehow. It probably will, but since you don't actually see the effect, it doesn't seem like you are actually helping. On the contrary, if you see someone in real life who obviously could use the money, helping them out makes an immediate difference you can see. It really puts things into perspective when you see someone who is much less fortunate such as a homeless person. It is easy to get down on yourself and feel like you don't have a lot compared to other people, especially people you see on tv and in the media. Often I feel like I don't have a lot of money to spend, for example at the store, most of my decisions on what to buy are based on price. There are a lot of things I would like to get, but don’t, just because they are more expensive. Then I see a guy who is less fortunate just buying a couple basic items and all of a sudden I feel guilty as though I have too much money because I can buy many things on a shopping trip. Have you ever been in a situation like this? What would you do, give the person money, or just keep to yourself? It would be great to have a homeless person's perspective on a situation like this. If the situation presents itself again and it feels right, I hope to be able to help out someone in need if it happens again. Lionbridge is a company that has many work from home opportunities. I was able to work for them for about 6 months as an internet content judge. Basically, it was about reviewing content for search engines before it goes live to the public. So when you do an internet search, the results and information that show up are not automatic; people had to review all that to make sure it was accurate and the best results are shown. So back to the beginning. I do not remember too much about the application process since it was a while ago, but I do know that I applied a few times for a few different positions and it was not until much later that they contacted me to ask if I was still interested in the position. There was much training to learn how to use the programs and how to make proper judgments. Everything is done online and correspondence is done by email. After you have studied and practiced, you take the tests. If you do well enough, then you can start working on the real data. They have set amounts of hours they require you to work each week but the hours are flexible and you can choose when you want to work and for how long. There is also a set pace you must work at and your results are checked for quality. Overall the work itself was fairly easy but the guidelines were not clear and much of the judgments could really go either way. There just seemed to be a lot of gray area and contradicting guidelines for how to judge the content. The work itself was a little boring and one thing that was noticeable was how the perception of time moved very slow when working. For example, if you worked 1 hour, it feels like you worked 2 hours. It can be a little stressful because it is timed and there is not any down time when you are working. You can log out whenever you want, but when you are working, it is one item after the next. The software was also quite buggy. There would be errors and downtime with the program quite often. Also sometimes there would not be much work to do so they would put your account on hold until more work became available. The pay was pretty good for a work from home type job and the payments were accurate and punctual. You keep track of your own time and it must match the records at the end of the month. After about 6 months apparently there was no more need for the work in my program so the position was ended. Overall I would work for Lionbridge again if another position opened up. If you are looking for a work from home job and like working on the computer, this is a good option. "I Wanna Marry Harry" is a new reality show similar to the show "Joe Millionaire" that aired years ago. 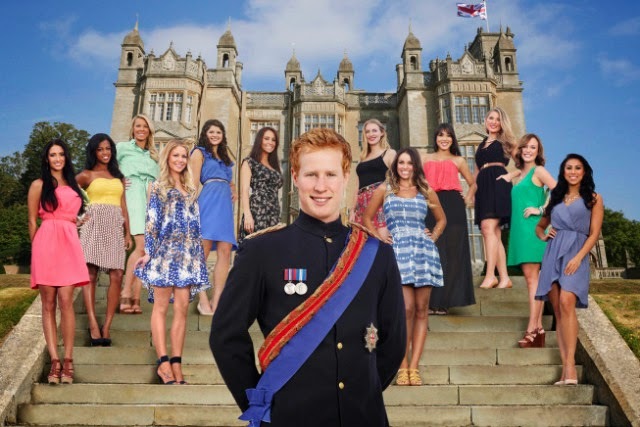 Basically, it is like the show "The Bachelor" but instead of a random guy, it is a guy that looks and sounds very much like Prince Harry. In this show, his true identity is kept a mystery as the girls try to figure out who he is. Despite the silly title of the show, so far it has been very entertaining! The casting was well selected and the contestants are fun to watch. Of course there is a lot of drama between the ladies as they get jealous when "Harry" goes on the dates with the other girls. So far, he has not said who he is, but has been making the effort to pretend like he is the real prince Harry. The production crew has done a good job of adding fake security and photo shopped pictures to enhance the illusion that he is someone important. Overall he is a likable guy and there are already a few girls to root for and root against. As it is a few weeks into the show, already there are some strong feelings developing between "Harry" and the girls. It will be very interesting to see what happens has the group is narrowed down and ultimately his true identity is revealed. There are a lot of annoying things out there on the internet, specifically when it comes to features on websites. Now of course there are ads, but we are not even going to count that. You should have an ad blocker installed to take care of most of the ads out there. This article is about all the other little things that websites have that bring down quality and just make them less user friendly. If you have a website with the following characteristics below, please consider changing it. 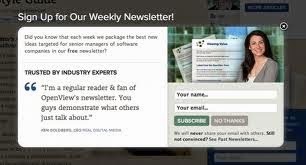 Have you ever found a link through Google, clicked to read the article but before you could even start reading, a full screen pop up shows up asking you to subscribe to the newsletter or like them on Facebook and follow them on Twitter? This is very annoying. First off, if I just got to your website for the first time, why would I subscribe to these things? No one would, so stop annoying everyone with the pop up. If someone actually wants to sign up for something like this, they will seek it out. Do you ever click to read an article and it automatically starts playing a video? This is overly intrusive and can be very frustrating for someone who just wants to read about it. You can have a video, but to not automatically start playing it. If someone wants to play a video, they will click the play button. This goes for any audio as well. Some websites just try to pump as much extra junk on the webpage as they can when the part you actually want to read takes up less than 25% of the page. I will go to a simple weather website to check the weather, but for some reason there will be a bunch of videos all over the screen that have nothing to do with the weather. Maybe they think weather is boring and they need to get people's attention with other videos. I don't know about others, but if I go to the weather website, I am looking for the weather, not a viral video that may be slightly related to the elements. You know these kind of articles. Often they are lists that make you click through 10 pages when they could have easily put everything on that one page. I know in my case and many others, when you see a website like this, you immediately click back and go to a different website. Stop wasting our time with all these extra clicks. Speaking of trying to go back to get to another website, some websites will make it so if you press back, you can't even go back as it just reloads the page or takes you to a home page. There is no better way to lose the trust of a reader than by trying to force them to stay on your website like that. Maybe this does not bother other people, but when I am trying to read an article, I do not want a slide show going on in the side bar. Anything moving around is very distracting if you are not actually looking at it. It is the worst when they do not even give the option to stop it from moving or playing. Sometimes I will leave a website just because of moving slides or graphics like this. More and more websites are making it so when you scroll to the bottom of a website, it automatically loads more content. This is not good because most of the time it jumps and you lose your place and have to scroll back up to figure out where you left off. This is related to the videos playing by themselves. If readers want to seem more results, they can click next or show more. Do not keep adding more results just because we are getting near the bottom of a page. What other things do you find annoying on the internet? Leave them in the comments below! Hyperhidrosis is a condition where you sweat a lot more than what would be considered normal. It is a condition that effects a small percentage of the population in varying degrees and on different parts of the body. Some of the most common places people have it is on the palms of the hands, soles of the feet, and the underarms. It can also effect pretty much any area of the body such as the scalp, face and torso. To someone who does not have this condition, it may not seem like a big deal, but to those who have it, it can be incredibly difficult to deal with and can have a huge negative effect on the quality of life. I can remember becoming aware that I had sweaty hands around age 12 or 13. I remember sitting in class with my hands on the table and there would be sweat marks left on the surface from the sweat. In music class, I remember being stressed out about playing the piano because my hands would sweat on the keys. When school dances came around, those were the worst as you might imagine not wanting to hold anyone's hand because of course they were sweaty and it would be very uncomfortable. In high school it became more noticeable. My hands would sweat a lot in class which was very uncomfortable. I began to sweat more from other areas such as arm pits and feet. I managed to make it through high school and went on to college. It seemed to get worse in college. I can remember sitting in class trying to continuously dry my hands on my pants so as not to get the papers wet on the desk. One day it got so bad I actually had a panic attack and had to excuse myself in the middle of class. It was so uncomfortable and embarrassing. I did not even return to class until the class was over that day. This condition of course had a huge negative effect on my education and was one of the biggest reasons I decided to drop out of college. I started to try out different treatment options to see if I could find a solution to the problem. I tried prescription antiperspirants, a variety of oral medications, and even purchased an iontophoresis machine which helps limit sweat by sending an electrical current to your hands while placed in water. Some of the treatments helped a bit, but nothing was an absolute cure. There are a few other treatment options such as botox and invasive surgery which I do not plan on doing because of the costs and side effects of these treatments which can often turn out to be worse than the original condition. After college, I started working in food delivery which was pretty good for this condition because I spent a lot of time on the go and by myself so the sweat was not very noticeable. A couple years later I got a job at a school as an assistant teacher. This job was much more difficult to deal with because you are stuck in a classroom all day and you have to work closely with other teachers and students. It was incredibly stressful to do this while I was sweating a lot and trying to hide it and ignore the physical discomfort. I had a couple other panic attacks while in class working with students. To describe it, my heart would start beating so hard and fast and I would start sweating even more and I could not focus on anything except how uncomfortable and stressed out I felt. Both times I had to excuse myself and go to the bathroom to calm down. I also remember having a panic attack like this at one of the meetings where I was sweating a lot and felt like I was stuck there and could not get out. After struggling with the school job for about 7 years I managed to start finding jobs working from home. This was better because at least if I was sweating at home it would not be a big deal because there would be no one to notice it. Currently I work from home which is nice, but hyperhidrosis still has a huge effect on my life. My social life has been influenced the most because of hyperhidrosis. Any kind of social interaction is stressful for me because of this condition. Whenever you are with people or meeting new people it is expected that you shake hands. This is one of the things people with palmar hyperhidrosis dread the most. Even things like going to a restaurant or a movie are very uncomfortable if you are sweating a lot. Because of this I tend to avoid social interactions as much as possible. As a result, the amount of friends and relationships I have had has been very limited. Physically it makes things more difficult. For example if you are trying to hold something or open something it can be very difficult if your hands are sweating. Many of my shirts get ruined by stains from continuously drying my hands on them over time. I have to clean things like the computer keyboard and mouse daily because with sweaty hands, it leaves a residue on these things just from normal use. Clothing choices are completely determined by this condition. I always wear an undershirt to absorb sweat. I almost always wear pattern materials on the outside because they hide sweat a lot better than solid colors. I often wear extra layers to help absorb sweat even though it makes it more hot. Footwear has to be breathable and comfortable. 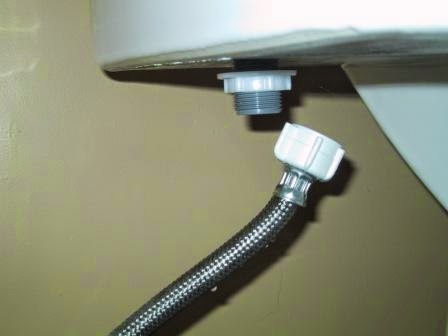 Go to a sink and lightly cover the palms of your hands with water. Shake them off so they are not dripping anymore, but still wet. Now imagine going though your entire day like this not being able to ever get them dry. Even if you dry them with a towel or on your clothes, 30 seconds later they will be wet again. Then think about trying to shake people's hands or try to do some kind of work while your hands are wet like this. This will give you an idea of how it feels to have hyperhidrosis. And that is just on the hands. Most people have it in multiple areas and even in more noticeable areas like the face which can be very embarrassing in social situations. 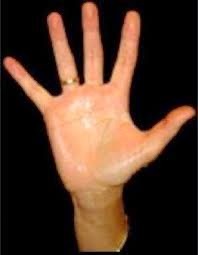 As you can see hyperhidrosis has had a huge effect on my life as well as others who have this same condition. To this day I have not told many people about this but instead have tried to hide it all this time due to embarrassment. I hope this article raises a little awareness about hyperhidrosis. As of right now there is still not a good solution to this problem. Hopefully one day there will be a solid cure for this condition which has been so devastating to the lives of those who have to live with it. When interacting with people, you always have a choice of how to go about it. 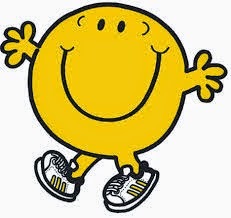 You can be nice and friendly, you can be rude and mean, or you can fall somewhere in the middle. Based on experience, I have found that it usually pays to be nice when you are dealing with people, especially in a customer service type of situation, whether you are the customer or the employee. Below are a few real examples to help illustrate this point. I currently work for a website that provides online customer service to people who either have questions on products or need help with just about anything. I deal with a wide variety of people. Some are friendly and nice while others are well, not so nice. Even though I strive to provide the same service to all customers, it is so much easier to go the extra mile to help out a customer who is courteous and appreciative verses one who is angry or just plain rude. In a situation like this, the nice customer is almost always going to get better service even if they are both asking about the same thing. Another example is when I used to work in food delivery. Tips are a big part of your income when you work for a job like this so they are very important. When you work for a restaurant for a while and start to get repeat customers, you remember which ones give good tips and which do not. The customers who give good tips are going to get better service whether it be faster delivery or better care when preparing the food. So always remember to give a good tip especially if you are going to be a repeat customer. An example from the customer side happened recently when I got over charged for a bill on my internet service. I contacted my provider and was sure to be extra courteous and nice to the representative. Usually getting billing issues like this resolved is difficult, but by being patient and kind, the representative was happy to assist me and within no time, the billing issue was fixed! So overall the message is clear, that being nice will get you a lot further than the contrary especially when it comes to customer service situations. Recently I decided to take advantage of the good weather by going for a walk on the paths around my neighborhood. It was nice to get out and just enjoy the outdoors and relax while getting a little exercise at the same time. One thing I noticed however was the amount of garbage laying around on the ground as well as trash caught in trees and bushes. I have mentioned how much I don't like when people litter in a previous blog post here, so I got the idea to do something about it. The next day, I brought a plastic shopping bag with me and this time, instead of just walking, I decided to pick up any garbage that I happened to see. You would be surprised how much you find when you are actually looking for it. I walked for probably less than a mile and by the time I was done, I had a whole bag full of garbage that I had collected! 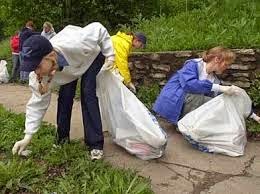 It feels good knowing you are cleaning up the environment and making your community a little bit nicer for everyone. The next day I did the same thing and took a different path. I collected just as much garbage the 2nd time around. It is actually fun and you get a little sense of accomplishment when you are done and see how much you have collected. For a tip, make sure to wear gloves as well as protective shoes and clothing to keep yourself clean and safe. If you really get into it, you can invest in one of those extended mechanical grabbers to help pick up items from the ground. I plan to make this a regular activity whenever the weather is good. I highly recommend this if you like walking and you care about making improvements to your neighborhood or any outdoor place for that matter. It even helps with observational skills. I noticed that after I did this activity, I was a lot more aware of details around me, so that is another benefit! Update: I found one of those garbage pickers available at the dollar store for only $1! I got it and tried it out and it works perfectly! It makes it so much easier and even more fun! I recommend getting one of these to help out with this activity. Update: Another benefit if this activity is sometimes you find things of value. Since starting this hobby, I have found cash on several occasions. $1's $5's and even a $20 on one occasion! I have even found a gift cards with remaining values. You never know what you will find out there! Update: If you are interested, check out this more in depth article on my personal experience cleaning up the environment. Also check out the DeTrashed group on Reddit which helps promote the fight against litter. There has been a lot of discussion about the new health care program this year and with the deadline to sign up quickly approaching, there has been a bit of a rush to sign up. I registered for the healthcare.gov website right when it launched but have waited until today to decide whether or not to sign up. You can read about my experience using the website and reviewing the plans here. After much contemplating I decided I better sign up for one of the health care plans. As a self employed person, I do not have health insurance through an employer so this is the best option at the moment. Now I still think the plans are not all that great. There are some good plans available but they are very expensive. However, with the cost of health care these days, it is a good idea to have some kind of protection even if it is unlikely you will actually need it. Also the fact that you have to pay a fee if you don't sign up is a little extra incentive to pick a plan with the new system. So after much review, I decided to go with one of the basic plans, a Bronze HMO plan from Blue Cross Blue Shield. Normally I would prefer a PPO but in this case the comparable HMO had much better benefits for about the same cost where the PPO covers almost nothing until you pay all the deductible which is very high. My current doctor is not in this plan so I will probably have to find a new doctor that is part of this group. There is also an option to get dental insurance along with the health insurance. I reviewed the plans and decided to skip the dental for now. Adding up the monthly costs compared to the cost of just paying by cash for the same service, the self pay is a bit cheaper. I take pretty good care of my teeth so I decided to hold off on the dental insurance. It would be a good option if you do plan to have dental work done or if you have kids to cover for dental insurance. So I officially applied for the new health care program. So far I have not received a bill, but they say it needs to be paid by the start date which is May 1st this year. This is all kind of an experiment and we will see how it turns out. A while back one of my CFL light bulbs went out. You know the squiggly kind that is more energy efficient and lasts longer than regular light bulbs. I knew they contained mercury so I was hesitant to throw it in the garbage. After doing a little research, it turns out these light bulbs should not be put in the garbage and should be recycled properly because of the substances inside. So I did a little research to find where to recycle them. I found a couple places including a local light bulb and batter chain that offered recycling services. So I held on to the light bulb until I would finally be in that area to drop it off. A few weeks later I was going to be in that area so I brought the light bulb as well as a spent battery to recycle. I go in and tell the person working there that I have the bulb and battery to recycle. He tells me that it is going to cost 60 cents to recycle the light bulb. Excuse me? You want me to pay 60 cents to recycle a light bulb? I just held on to this thing for several weeks and made the trip over here just to try to do the right thing for the environment and they are going to charge 60 cents? Who is going to pay that? I sure was not, so I decided to hold on to the bulb. I gave them the battery which they accepted for free. As the title above says, recycling need to be easier. It it also needs to be free in cases like this. 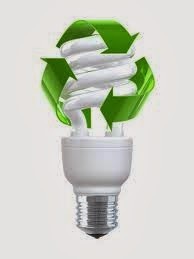 Most people would rather throw a light bulb in the garbage than have to drive somewhere and pay some one to recycle it. Recycling electronics is not always easy either. You really have to do your research to find a place that will recycle certain electronics. A lot of times communities will have recycle days for free, but they are often only a few times a year. Some big stores will recycle electronics but they will often charge a fee. People want to do the right thing that is best for the environment, but with examples like this, it is not very motivating to recycle. If you have any thoughts on this issue or suggestions for places that recycle, feel free to share them in the comments below. Juice is one of my favorite drinks in fact I have it along with most meals. 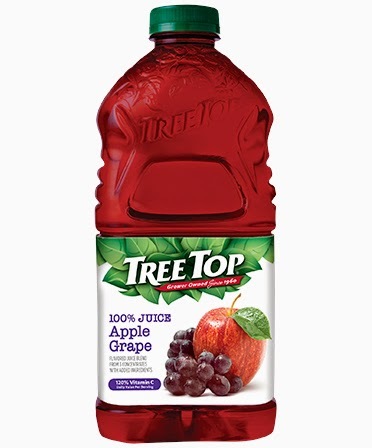 I always get 100% juice, usually a berry mix or an orange juice. I also like frozen fruits such as blueberries, strawberries, and cranberries. One day I decided to combine the 2 into one cup. Now there is nothing difficult about this and I'm sure many other people have made a drink like this before, but I sort of discovered it on my own so I thought I would share the idea here. A couple recipe suggestions include a berry juice such as a cranberry pomegranate blend added to frozen blueberries and cranberries. Another suggestion is orange juice added to frozen strawberries. 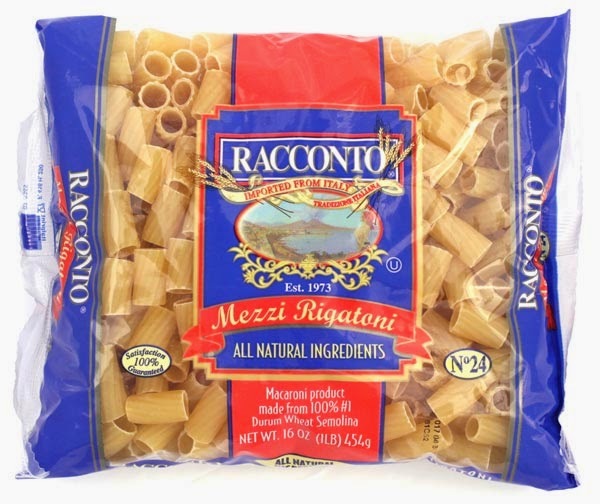 It is a very quick and easy combination and the results are delicious. 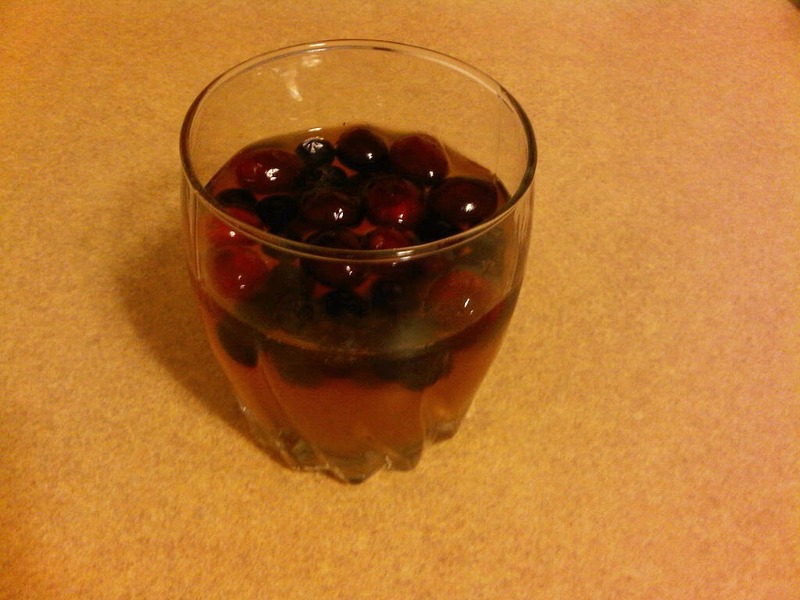 The frozen fruits act as a natural ice to chill the juice. The juice also gets absorbed into the fruit to make them extra juicy and sweet! 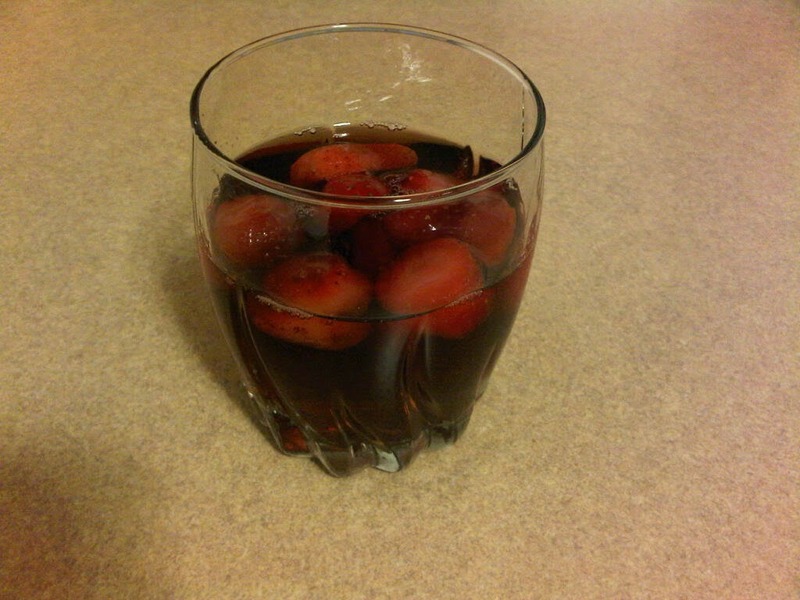 Included here are a couple pictures of the drinks. The pics do not do the drinks justice and they are much better than they look here. If you try these out and enjoy them or have any suggestions on similar drink recipes feel free to leave them in the comments section below. I was watching the show Hell's Kitchen the other day and I couldn't help but notice how much swearing they have on that show. Literally almost every line spoken on the show has something bleeped out. It's like they are editing the show to include as many lines with curse words as possible. I find the bleeping to be annoying in this case just because it is used so much on this show. It got me thinking about swear words in general. Personally I do not use bad words, at least no out loud in public. They might run through my head from time to time, but I rarely say them out loud. Many people on the other hand use bad words on a regular basis. I have a theory on why some people swear while others do not. Growing up my parents were fair and not overly strict. I remember one early on asking my mom if I could say bad words in the house. Surprisingly she said yes I could. I don't remember much else about it. I might have said a few words just for fun in the situation but after that I did not use bad words just because I knew it was something you were not suppose to do. Most kids are told by adults that they are not allowed to use these words and they will get in trouble if they do. So then what do these kids do the first chance they get when the adults are not around? They say the bad words only because they have been told they are not allowed to. I think kids in this situation get into the habit of using these words that they are not supposed to and before you know it, they are using them on a regular basis which carries into their adult life. Some may argue that they are just words and there should be nothing wrong with just saying a word. This is a good point but the fact is in our society it has been generally agreed upon that there are certain words that are just inappropriate or offensive and should not be used. Maybe not everyone agrees on this but most people do. There are also plenty of words in every language where there is no need to use words which are deemed bad or offensive. A lot of it has to do with context and expression as well. Just merely stating a bad word out loud does not have the same effect as directing it to someone with the intention of being mean or offensive. Overall I think bad words should be avoided just because there are other words to use and because they are generally thought of as bad. I understand many people do not want to follow the rules as is evident by the childhood example of how swearing gets started. Thankfully most people use these words sparingly and not in the presence of children as it would be a bad example to follow. 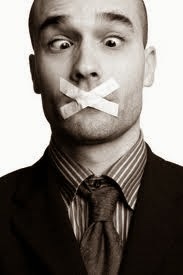 In the end of course everyone must make their own decision on whether or not to use bad words.